Mina is a Business development and Strategy professional who has hold various roles at P&G across developed (Europe) and developing (India, Middle East and Africa) markets. Prior to P&G, Mina was at Egon Zehnder focusing on executive search and organizational design. She lived in 7 countries across 3 continents. Mina earned BA degree from Bocconi (Italy) and Nanyang (Singapore) followed by MAP degree at INSEAD (France). She is passionate about adventurous travelling, audio books and photography. 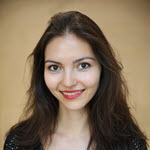 Mina is the President of the INSEAD Geneva Chapter since December 2017. 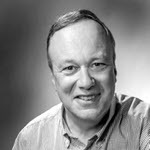 After an MA in Economics and Finance at the Institute of Political Sciences of Strasbourg and an INSEAD MBA (1982), Georges started an international career with L’Oréal in France, Germany and the UK, then with Harley-Davidson in the US, Germany and the UK. He also worked in London for Terence Conran and Strand Lighting, before returning to Paris for Givaudan. He then started a career in Real Estate, creating 2 agencies in Paris which he sold after 5 years to spend 4 years in the Algarve (Portugal). Georges has moved to Geneva in July 2013 as Director for Barnes International Luxury Real Estate for Switzerland (Group Gerofinance-Dunand) after being Barnes Development Director based in their headquarters living in Paris. Andrea is an Italian citizen who grew-up in Brussels, holds an Engineering degree and has been working most of his career in Telecommunications, specifically in business Development, Sales and Management. He lived and worked in Asia for 12 years, 3 years London and he is now based in Geneva since 2002. He is passionate about music and art, he is presently working on a project in the art-design segment, and develops art events within the INSEAD Geneva chapter. Yves is a Consumer Insights professional, who has worked for FMCG companies and Marketing Research agencies. He also worked several years in the inspection, testing and certification industry in Switzerland and South America. He holds an MBA from INSEAD (94D) and a Master of Agriculture Engineering (EPFZ). Yves, a Swiss citizen, is married and has three grown up children. He is passionate about jazz music, trekking and sailing and interested in sustainable development. Active since 2003 in the Geneva Chapter, he has been Vice President from 2005 to 2011. Philippe Mauron is as seasoned manager in the Financial Services industry. Over the course of his 25+ years career, he has held various positions in corporate and investment banking, wealth management and private equity, primarily with UBS. He has also participated directly in technology start-ups as investor and manager. He holds an MBA from INSEAD (95J) and a Bachelor Degree in Economics from University of Geneva (90). Philippe is very much interested in skiing, mountaineering, and technological innovation as driver of change. A fan of the INSEAD community, he has been on the Geneva chapter committee since 2005 and was its President from 2008 to 2011. 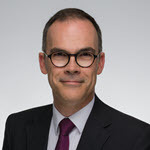 He has been serving as Vice-President of the INSEAD Alumni Association Switzerland since 2017. 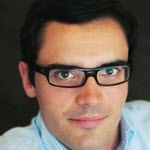 Ludovic is Head of Business Development for Soleil Vie. Before that he held the same role at Smart Flows, an innovative technology company in Switzerland. Previously he worked as a consultant in finance with Accuracy and in strategy with BearingPoint. He holds an INSEAD MBA (2012), a MSc in Finance from Imperial College London and an Electrical Engineering degree (SUPELEC). He is French, settled in Switzerland as per July 2013. Oengus graduated from University College Dublin, Ireland and later completed an MBA from INSEAD in 1995. 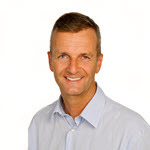 Oengus commenced his career as an auditor with Ernst & Young in Basel, Switzerland and subsequently gained extensive international experience in Switzerland, France and Germany in various finance and administration management positions. 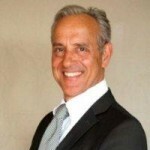 Since 2011 he has his own consultancy company, Fiduram Sàrl, which specialises in finance and recruitment. He is Swiss-Irish, married and has 2 children. Maya is a Finance and Strategy manager who’s spent the past 20 years working as a Finance Manager with P&G, a Consultant with an Investment Bank, a Senior Flight Attendant with a National Airline, and a Sergeant for the Israeli Army. 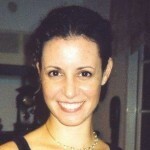 She holds an INSEAD MBA (2001) and two BA degrees in Accounting and Economics from the Tel-Aviv University. She is Swiss-Israeli, married and has 2 children. Maya has a colourful career history and some eclectic tastes which are reflected in her love for literature, but she is most passionate about her family, her sports activities, and about serving her fellow INSEAD alumni. 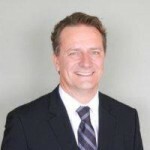 Sébastien has a long experience in international Project Management for railway manufacturers such as Bombardier. He is now an independent consultant working on operational improvements in small and medium industrial companies. He holds an MBA INSEAD (1988) and a Mechanical Engineering Degree (EPFZ) He is French, married, and has 3 grown up children. 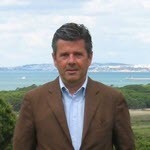 Living in Morges, he is in charge of activities in and around Lausanne. Odile is a Fashion and Luxury aficionada with Strategy, Marketing and Sales expertise in the sector. She started her career as a consultant for McKinsey & Company in Belgium, before moving to Zurich where she held various marketing roles for Swarovski. She is currently working in Geneva as Area Sales Manager for Roger Dubuis, Swiss Watchmaking Manufacture part of the Richemont group. 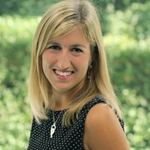 French and Belgian, Odile holds a Master degree in Engineering as well as an MBA from INSEAD 15J promotion. During her time at INSEAD, she was leading the Retail, Consumer and Luxury Goods club and organized multiple industry events and student treks both on the Asian and European campus. In addition, she is a foodie who is keen on organizing social events, a passion that she is leveraging for the Alumni Association committee since she arrived in Geneva end of 2018. Beatriz is an experienced professional in Strategy, Finance and Business Development. Beatriz started her international career as Consultant at McKinsey & Company in Lisbon, covering different industries and functions, across several countries and continents. She also worked in Strategy, Finance and M&A at Deutsche Bank and in Expedia. Currently, she is a Strategy & Planning Manager at JTI in Geneva. Beatriz holds a double Master degree in Management & Industrial Engineering from Porto University and Linkoping University as well as an MBA from INSEAD (December 2015 class). Furthermore, Beatriz speaks Portuguese, English, French and Spanish. Beatriz is passionate about travelling, trying new restaurants and reading non-fiction and fiction books. Ingrida is a Business Advisor/ Board Member working in the projects across Europe in the areas of: goals & KPIs, org & people and digital change management. Also, she is a Supervisory Board Member at “Modus Group” (mobility services/car sharing, smart parking, renewable energy, etc.) and a Board Member at “Global Lithuanian Leaders”. 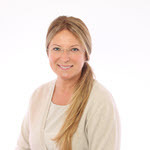 Ingrida has 20+ years of business experience working as a Board Member & Chief People Officer at “Bite Group” (“Vodafone” partner in Lithuania & Latvia), a Financial Auditor and People & Change Service Leader with “Arthur Andersen” and “PwC”, an HR Director Ukraine for “Microsoft”, etc. She’s been working across different countries from South Africa, UK to Russia. Ingrida holds MBA degree, is a graduate of the “Board of Directors Program” (“Danish Institute for Corp. Governance” & “Stanford Law School”) as well as other international development programs. She speaks Lithuanian, English, Russian & is learning French. Ingrida is based in Geneva since 2016.